Almost all bread makers that are on the market right now have gluten free programs and are trying to cater to the large amount of people wanting to make their own gluten free products – but the big question is: are they any good? Today I’m looking to find the best bread maker for gluten free bread that’s available in the UK and I’ll be looking to see if they are actually getting positive reviews for their loaves rather than they just say they can make them – a big difference! always choose the gluten free program – but feel free to experiment with other programmes. You never know! if you want to keep cross contamination at bay keep the bread maker solely for gluten free loaves or buy a separate bread pan. 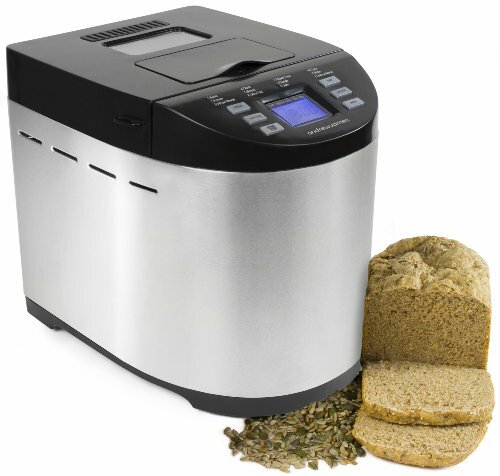 Do you need a specific gluten free bread maker? Many people might be wondering whether they should aim to get a generic run of the mill bread maker with a gluten free setting or one that is solely for gluten free bread. To be honest, there’s not many bread makers that are targeted just for the gluten free market so if you wanted to go down that road you’d be looking at only one bread maker (the last on the list) – a good choice but obviously not the only option out there. Many standard bread makers come with gluten free programmes – some with more than one to try! This is what your really need to be looking for in your bread maker. Many of the top brands are keeping the gluten free customers in mind when designing their bread makers so the choice is actually quite wide. 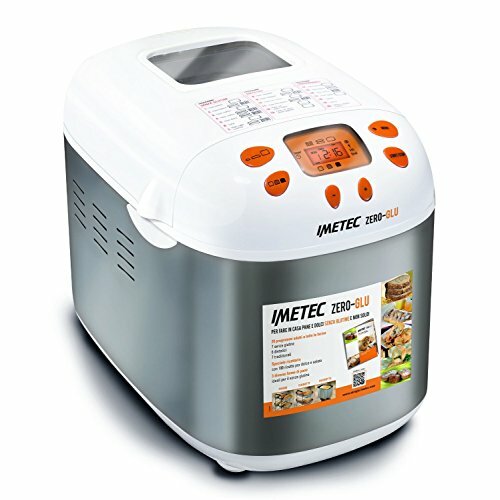 You’ll of course see my reviews on this page but also check out my overall Best Breadmaker guide for some more options. 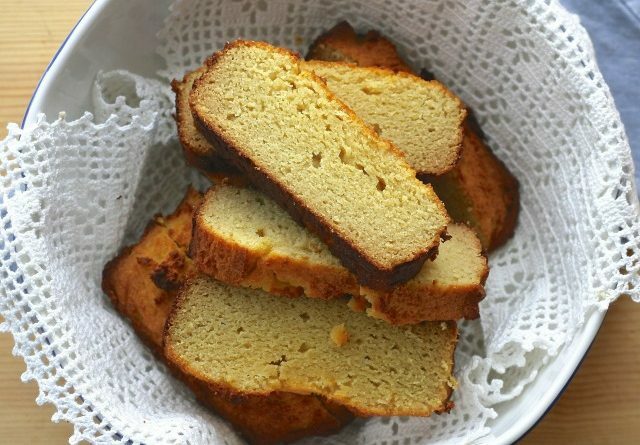 Of course, one thing you do need is gluten free flour and the choice there can be dizzying. My advice for you is to try out a little bit at a time – commit to a brand and see if you can make it work for you. If after a couple of goes it’s not doing it for you, move on to a different brand. Some supermarkets carry their own brands of gluten free flour too now which is great as it means prices are coming down. Depending on your reasons for needing gluten free, remember that if contamination is an issue only use gluten free flours in your bread maker. 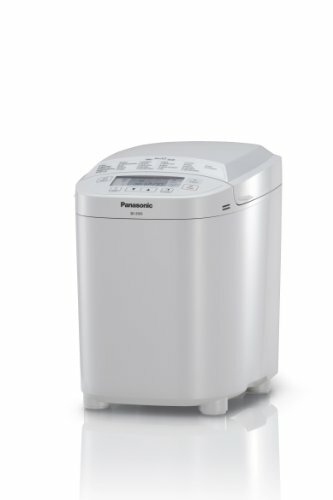 This Panasonic is one of my favourites for regular bread makers, but how does it shape up when it comes to Gluten free? Well, out of the many reviews on Amazon (500+) there were a great many singing its praises when it comes to the gluten free program so sounds like it’s pretty good! As I say, I’m a huge fan of the Panasonic range when it comes to bread makers, they just work really well so I’m not surprised it’s so good for their free from program. Some people find them on the expensive side but for me it’s cheaper than buying a sub standard one first! The Andrew James Bread Maker is my top choice if you’re on a budget and it’s the cheapest bread maker in my list. Reviews of it are mixed though, with both the normal loaves and the gluten free programmes yielding great loaves for some and not so for others, so it could be that you get what you pay for. As always, don’t give up with the first failure – tweak until you get it right, or at least edible! Rather than a bread maker that has a added gluten free program, this one by Zero Gluten Baker turns that idea on its head. They have made a specialist gluten free bread maker that has been designed specifically for the demands of free from baking. You can use it for ‘normal’ loaves, but those are added on as an extra!